Refreshing and uplifting, Citrus Mint combines two essential oils to give you scent that will tickle your senses! Orange Oil has always been know for cleansing power and peppermint will help wake you up! Each Aromatherapy bar is handcrafted in Maud, TX where girls are milked each morning to bring you soap that your skin will crave. 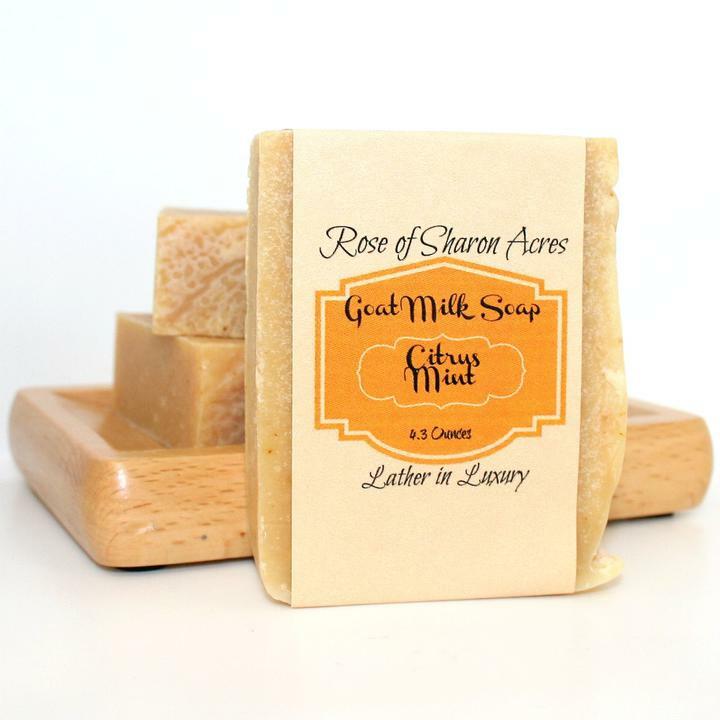 Goat Milk Soap nourishes like NO other handcrafted soap. ***NO GMO's***No Parabens****No Phthalates***No Soy***No SLS***No Junk!